Summary: Diva is a gardienne’s dog. That means she lives with the gardienne of an old apartment building in Paris. Diva’s job is to make sure that everything in the courtyard is neat and safe. Flea is a flaneur. That means he wanders the street looking for adventure, because there is always something new to discover. Then one day Diva and Flea meet in the courtyard. After some getting used to, they became friends. Flea came to the courtyard to visit Diva every day. Soon, Flea convinces Diva to go outside of the courtyard to discover new things. And Diva convinces Flea to go inside the apartment to discover new things. 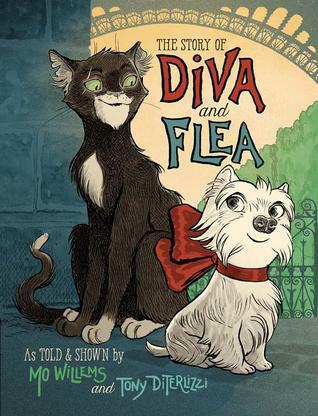 Diva discovered the Effiel Tower, and Flea discovered breakfast. Literary Merit: Readers are introduced to French culture and vocabulary. Kid Appeal: Dogs and Cats and Friendship! New places. New adventures. 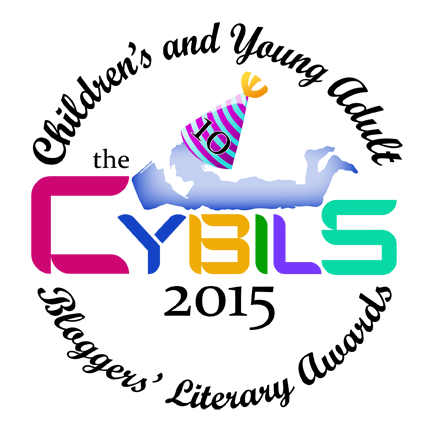 Disclaimer: This book was nominated for the 2015 CYBILS Award in the Early Chapter Book category. This review is shared as part of the Round One Judging. It is solely my own opinion and not influenced by any other parties.